Never the one to take a break, I’m back to toying with the idea of trying the Kanji Kentei. What is the Kanji Kentei? Unlike the JLPT, the Kanji Kentei is intended for native speakers to test their understanding of kanji. Depending on the level, this test requires you to read, write, differentiate between homonyms, know stroke order/count, etc for kanji. Tofugu has a comprehensive and well-written article on the kanji kentei here. The levels more or less coincide with the kanji learned in each grade. Once you get to level 5, you will start to encounter yojijukugo. Yojijukugo are four-kanji compounds. Usually idioms, their special characteristic is that the meanings/readings aren’t always easily understood just by looking at the kanji. This week, we’re going to start easy with 無我夢中ーむがむちゅうーmugamuchuu. I say this one is easy because it makes sense. So, 無我夢中 means to lose yourself in something. What do you think? Do you have any situations you can think of where 無我夢中 might come in handy? Let me know in the comments below! 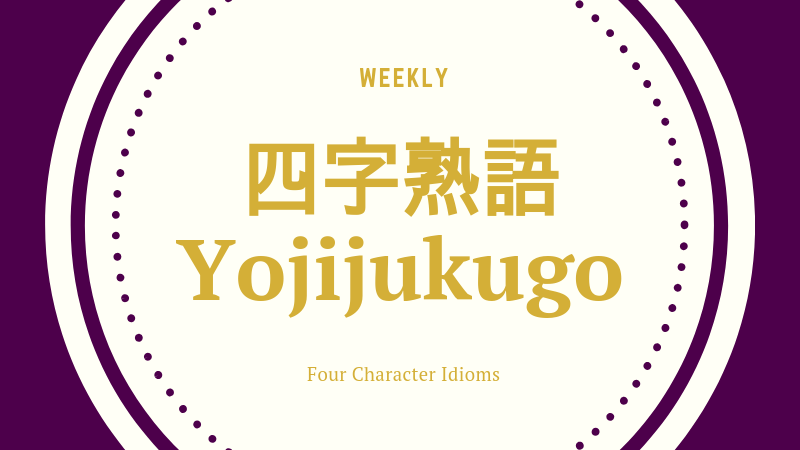 I’ll be making short posts like this weekly, so if you’re interested in learning about yojijukugo, please subscribe to the blog for updates! Don’t forget to follow me HERE on Instagram or HERE on Twitter to stay up to date with my adventures.